Hark! What is this treachery? This looks like a review of a restaurant, not a book! This isn’t really a review at all; it’s more an appendix to my earlier post on St. John D. Seymour’s Irish Witchcraft and Demonology. 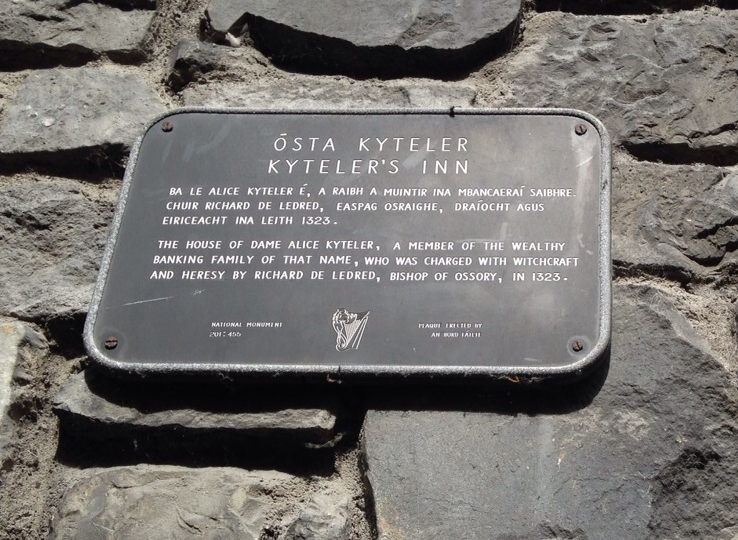 Alice Kyteler was a wealthy woman from Kilkenny, Ireland. By her mid forties, three of her husbands had died, and her latest was dying. An opportunistic bishop named Richard de Ledrede jumped at the chance to confiscate the immense wealth that Alice had built up from her previous marriages. In 1323, she was accused of killing her husbands through poisoning and heretical sorcery. She was also accused of sacrificing animals to the divil, and having communications with a incubus named Robert, Son of Art. The whole affair was fairly mad. The bishop himself spent some time in prison for underestimating Alice’s powerful connections. Alice’s first son and her maid Petronella were accused of being in on the mischief, and poor Petronella was tortured and burnt alive. Alice managed to escape from Kilkenny, and nobody is quite sure what happened to her. There’s much better, and more detailed versions of the story online; my favourite account of her life is this TG4 documentary (as Gaeilge). I think that her story would make a really great film. Anyways, apparently this inn used to be her home. It’s a cool pub, and the food was nice. I’ll definitely go back if I’m ever in Kilkenny again. Alice’s familiar, Robert filius Artis and I.